If there ever was a film with a more literal title that tells you exactly what you’re going to expect over the next hour and a half or so, it is this one. While the film is pretty to look at (the rendering of forest fires are pretty realistic), it’s not in the same league as a *Frozen*, *Shrek* or *Toy Story. * While the script is full of obvious and easy aircraft metaphors which are funny, it lacks the kind of witticisms and wisecracks that elevate other contemporary animated films so that they can be enjoyed by a much wider audience. 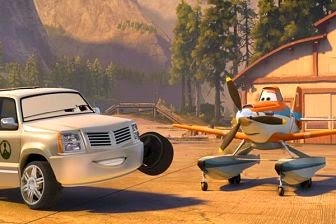 Planes: Fire and Rescue features more action than its prequel, with amazingly animated massive forest fires, but struggles with keeping the humour fresh.Although I would like to think otherwise, Planes: Fire and Rescue was made in order to keep the franchise alive. 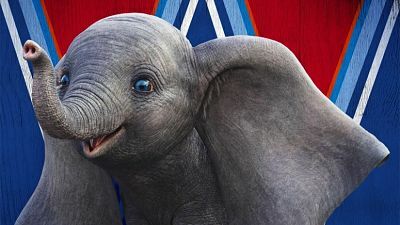 It was clearly not a labour of love and it doesn’t really care where the script is headed to, as long as it fulfills its target audiences’ need for instant gratification. Planes: Fire and Rescue seems to be too high on fuel to be able to walk the straight line of consistent storytelling. Unlike the flat Planes, Fire and Rescue has more of a storyline, even if it’s largely predictable and packs in unnecessary details such as an old RUV couple on their second honeymoon. The fires are as fierce as any in a real film about real people, and Fire and Rescue appears serious about portraying the heroics of the men its planes represent. The voice cast doesn’t impress. The writing is lacklustre, the principal characters are too weakly etched, there’s a better (though somewhat predictable) story here but the plot is riddled with holes, the gags and one-liners are far too few and the references are a little too American to be enjoyed by international audiences. Also, you never seem to empathise with Dusty as strongly as you did with Lightning McQueen (from the Cars franchise). It’s the minor characters who actually shine. This one isn’t for-all-ages but rather for pre-teens. For what suspiciously feels like a rushed-job in-betweener, they should have gone direct-to-DVD , rather than opt for a big-screen 3D release.